Noah’s Ark is a self-sustainable city on the water that can support all living species, from humans to animals and fish to plants and trees, that have been evicted from land by natural disasters, warfare, whatever disasters the end days may bring. 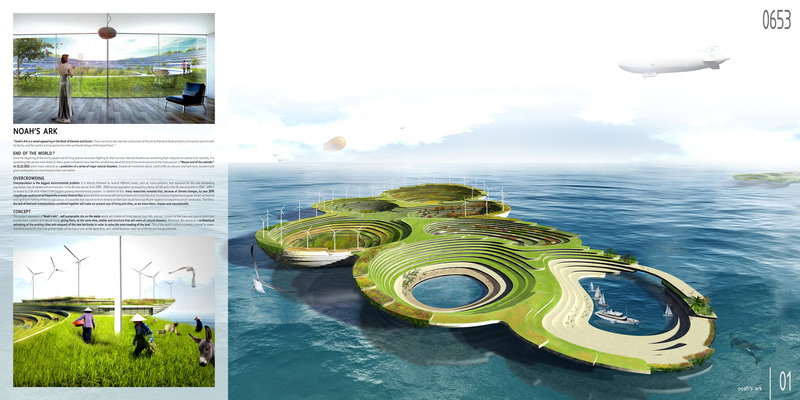 In addition to providing protection from these disasters, the Ark concept also addresses overcrowding on land: 72% of the earth’s surface is already covered by water, so extension of the urban city grid onto water is both logical and useful, as solar, wind and wave energies are easily captured at sea, and it is these natural energy sources that will power the development. 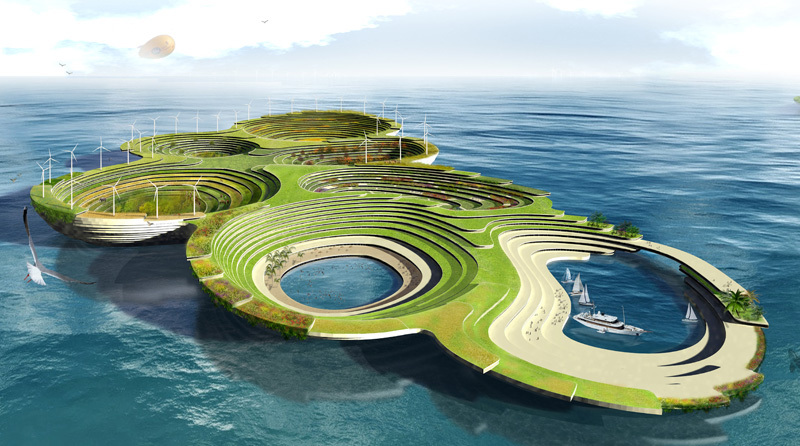 It is designed as part of a network consisting of other Arks, which connect with floating underwater tunnels and the main land. As the settlements grow, the Arks can attach to each other, creating one big artificial mainland from a series of artificial islands. A large number of flexible cables connect the island to the ocean’s bottom, providing stability, and an external wall as tall as 64 meters protects the island from hard sea winds and tsunamis. When emergencies of grave severity arise, residents can retreat to bubbles inside the depths of the islands for protection. 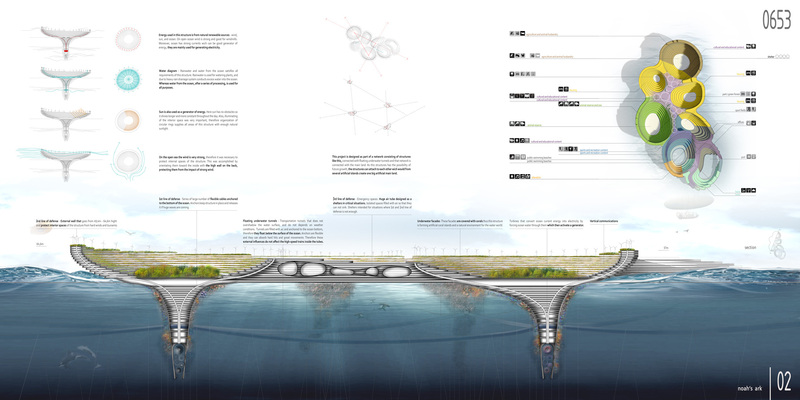 Underneath the island, great turbines attached to the bottom convert ocean currents to energy, and artificial coral coats the surfaces, encouraging the development of new ecosystems. As a settlement, the Ark has everything residents need for comfort: residences, offices, recreation areas, parks and forests, and beaches. There is also a reserve for animals.